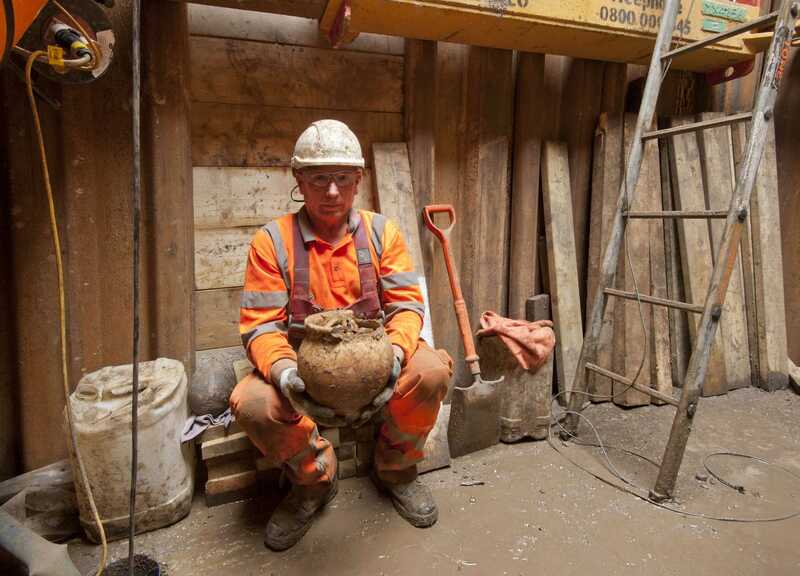 Working on busy construction sites requires a close working relationship between archaeologists and building contractors. 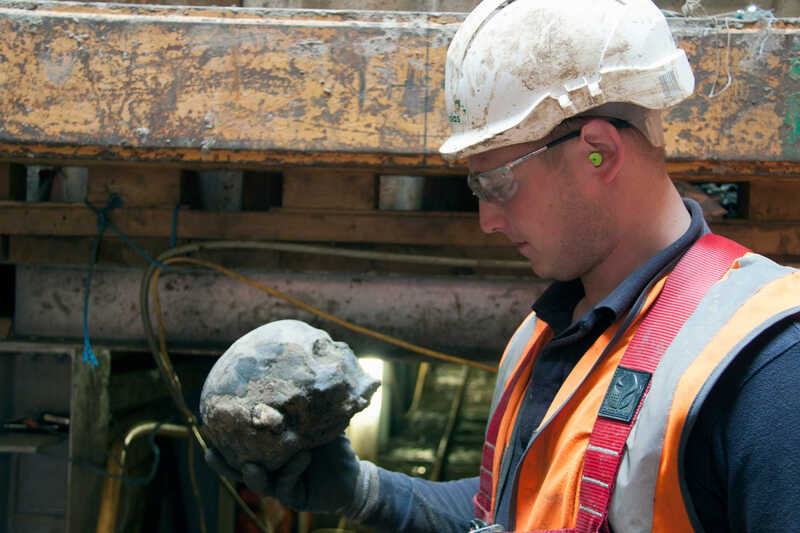 At the Liverpool Street site, for health and safety reasons, only trained miners could enter one of the tunnels which had to be hand-excavated by them. 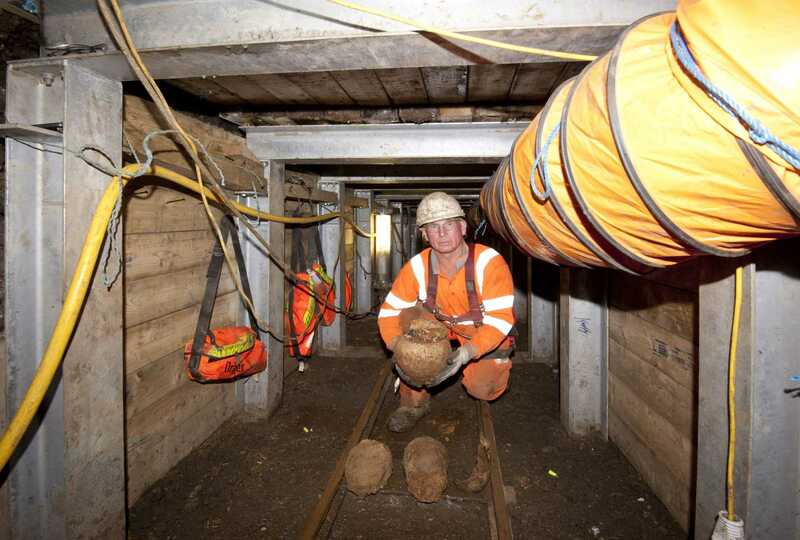 The McNicholas miners worked closely with archaeologists so that the archaeology in the tunnel could be recorded. 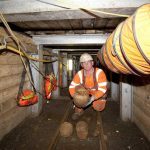 The miners took photographs every metre along the tunnel, so that archaeologists could see what they were finding and record it. 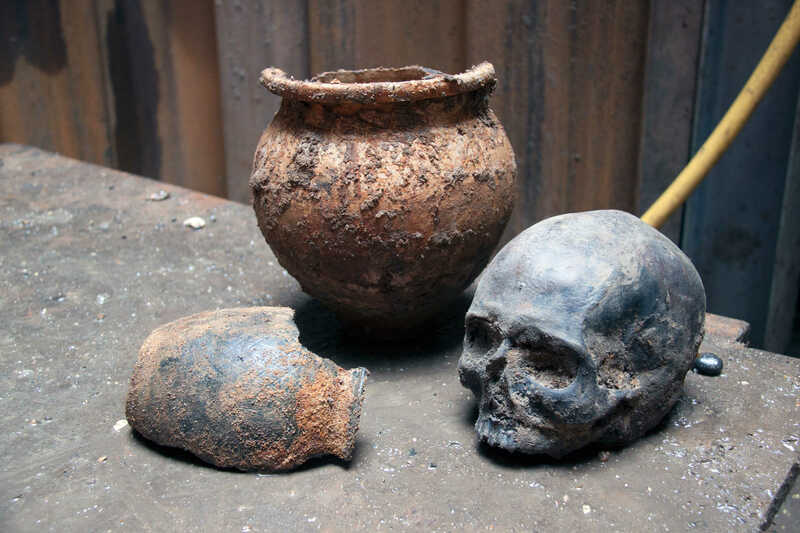 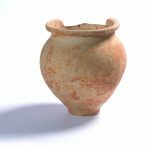 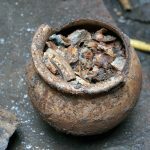 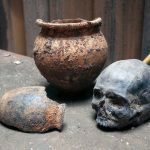 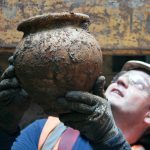 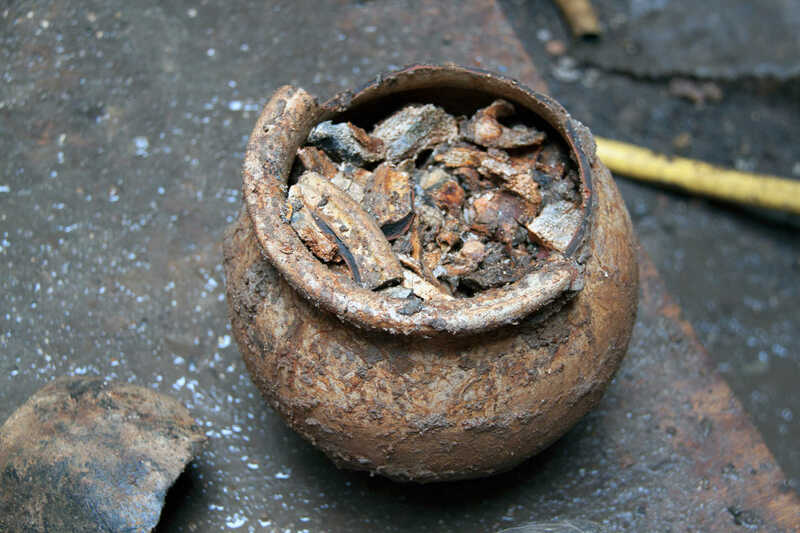 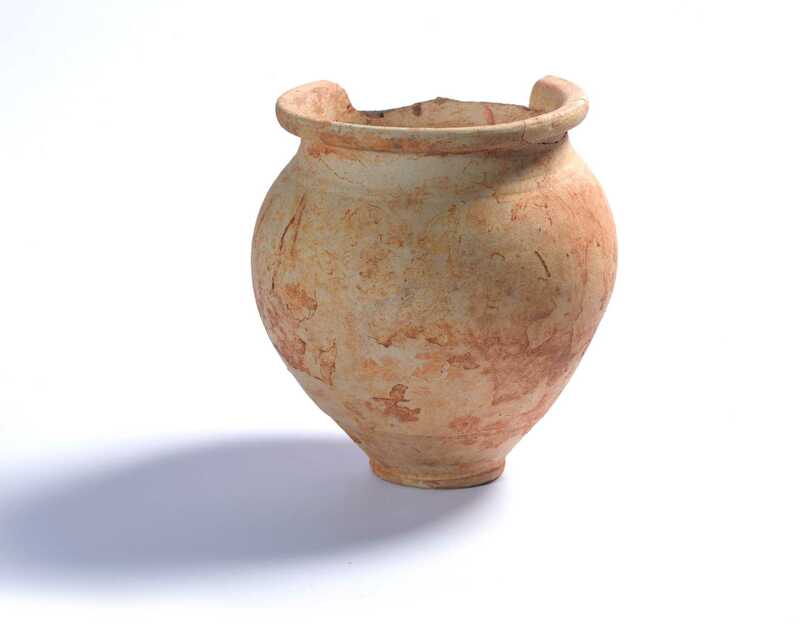 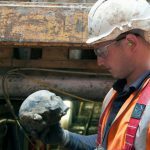 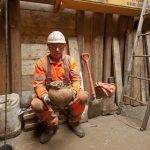 The miners also recovered a number of human skulls and a complete cremation urn with its contents. 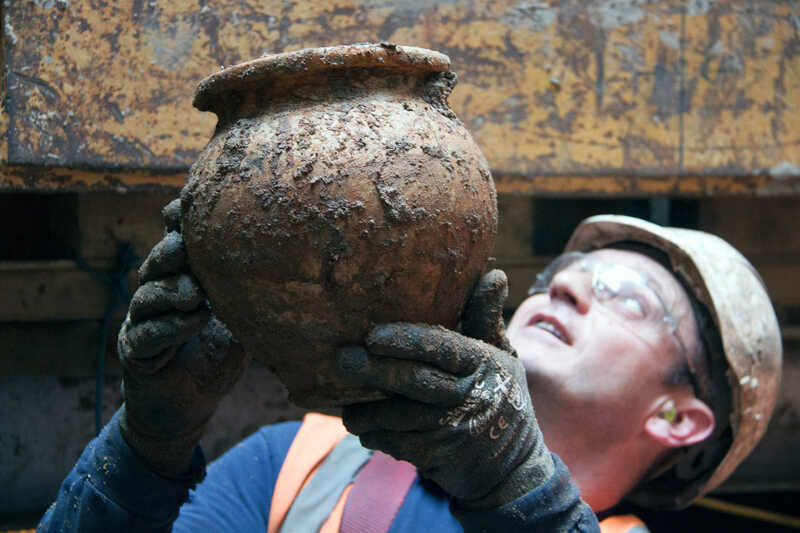 The latter was caught by miner Keith Hancock when the urn fell from the ceiling of the tunnel.